The economic instability in China has raised concerns about the global economy, but the pain is already being acutely felt in Brazil, where economic success over the past decade was largely built on exporting commodities and natural resources to China. The sudden slowdown in demand for commodities in China has hit Brazil hard. About 20 percent of Brazil’s main stock index, the Sao Paulo Stock Exchange, or Ibovespa, consists of commodity producers. Thus the collapse of commodity prices has crushed Brazil’s stock exchange, which is down by about one-third since last May. “Prospects for Brazilian stocks are discouraging in every way,” Hersz Ferman, an economist at Rio de Janeiro-based brokerage Elite Corretora, told Bloomberg on January 11. "There are many uncertainties regarding both the internal and the external scenarios." Brazil is facing its worst recession since 1901 and GDP could shrink by 3 percent in 2016. Petrobras’ shares listed on the New York Stock Exchange are down by 70 percent since May 2015, and they are down about 95 percent since hitting a peak in 2008. The damage to the Petrobras’ financial performance is clear. 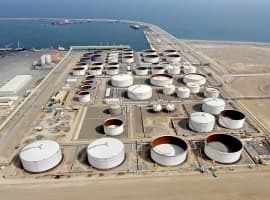 But that, in turn, is severely cutting into the company’s long-term ability to produce oil and gas. On January 12, Petrobras once again revised its five-year oil production plan down. The 2015-2019 plan now calls for just $98.4 billion in capital expenditures, down by $32 billion, or about 25 percent, from the original plan released last year. Years ago, when things were going swimmingly for Petrobras, its five-year spending plans routinely topped $200 billion. Last year, Petrobras surprised everyone when it declined to bid on new oil and gas offerings in a public auction in October. Petrobras has long been a regular fixture at lease sales, where it typically made up more than half of successful bids. With little resources to spare, the state-owned firm stayed away, the first time it has chosen not to bid at an auction. The drastic spending cuts call into question the company’s long-term health, given significantly lower production levels that will result from the pullback. But the company feels it has no choice. Still, the spending cuts, and the resulting downward revision of expected production, means that Petrobras won’t be able to grow itself out of its debt problem. That means the world’s most indebted oil company will have to resort to selling off assets to whittle away at its debt load. The problem with that strategy, however, is that selling off assets in a depressed marketplace will mean Petrobras probably won’t be able to earn as much as it hopes. 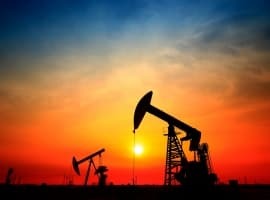 Asset valuations have tumbled along with the price of crude. Related: Saudi Arabia: A Weak Kingdom On Its Knees? “Petrobras plans to spend the same amount it should generate in cash this year, leaving no margin to reduce its massive debt,” Flavio Conde, a Sao Paulo-based oil analyst, told Bloomberg. “The company is now 100 percent dependent on asset sales to reduce leverage, and you can’t control sales results." 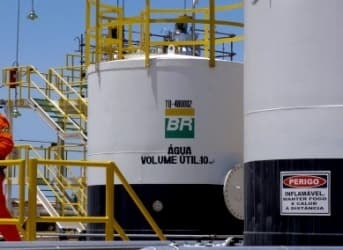 Petrobras has plans to divest itself of $14.4 billion worth of assets in 2016, and over the next several years it hopes to sell $43 billion worth of assets. Too much debt, not enough money to spend on new production…It is a no-win situation for Brazil’s most iconic company. There's no 'economic instability' in China, regardless of how hard we pray for it. China will add over $1 trillion to GDP this year and close it out as the world's first $20 trillion economy. Low debt, rising wages and a smooth transition to a consumption-led economy help keep the ship steady. OK with you BUT I believe that we should not criticize Petrobras now of having a more careful approach than in the past. Finally, the decrease in production growth is limited compared with the Capex savings and, as long as the oil prices are so depressed, it has more sense to invest in derivated products.